Video: 15th Annual Dunlop Lecture: "The Entwinement of Housing and Well-Being". Video: Human and Social Dimensions of Resilience. Video: e2 Design: Affordable Green Housing. Video: National Building Museum - SUSTAINABLE COMMUNITIES: Green Affordable Housing. Video: Building NY: The Life of Jonathan F.P. Rose. Video: Its the Economy, NY (with Jonathan F.P. Rose) - WNET. Video: Housing Association of Nonprofit Developers (HAND). Jonathan F.P. Rose is a thought leader on the environmental, social and economic issues and opportunities of cities. In 1989, Rose founded Jonathan Rose Companies LLC, a multi-disciplinary real estate development, planning, and investment firm which has successfully completed more than $1.5 billion of work. A thought leader in the Smart Growth, national infrastructure, green building, healthy and affordable housing movements, Mr. Rose is a frequent speaker and writer. 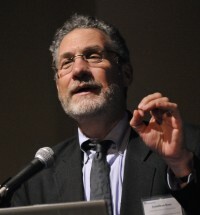 His work has received widespread media attention from CNN to The New York Times and was profiled in e², a PBS series on sustainable development. His book, The Well Tempered City (HarperWave) looks at the history and successes of urbanism through the lens of history, ecology, economic parity and resilience. Labeled as the man “who repairs the fabric of cities,” Rose has successfully helped to re-develop urban communities in New York, Denver, Philadelphia, Washington DC, and Sao Paolo, to name a few. 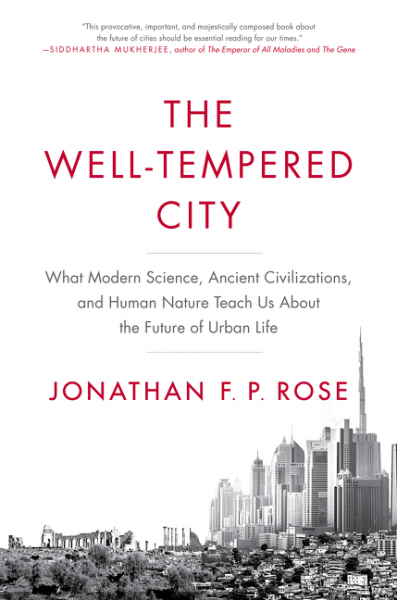 In The Well-Tempered City, he explores the lessons of cities from around the world, and throughout the history of civilization, to find the lessons that will guide the making of cities as solutions to our impending problems. Weaving together economics, history, urban planning, systems dynamics, and cognitive science, Rose describes how we can develop cities that are cauldrons of opportunity, and that will increase quality of life and help restore nature. In 2005, the firm launched the nation’s first green transit oriented acquisition and redevelopment fund, followed by green affordable housing and office transformation funds. The firm draws on its human capital, financial depth and real estate expertise to create highly integrated solutions to real estate challenges. The firm’s work touches many aspects of community health; working with cities and not-for-profits to build not only housing, but also civic, cultural, educational and infrastructure open space. The company’s innovative development, planning, investment, new construction, conversion and historic preservation work has won awards from a wide range of notable organizations including: the National Trust for Historic Preservation, the Natural Resources Defense Council, Global Green USA, the Urban Land Institute, the American Planning Association and the American Institute of Architects. Rose is Vice Chair of Enterprise Community Partners and is a trustee of the Natural Resources Defense Council. He also serves on the Board of the Brooklyn Academy of Music, and is an Honorary Member of the American Institute of Architects. Rose chaired the Metropolitan Transit Authority’s Blue Ribbon Sustainability Commission, which developed the nation’s first green transit plan, and was a commissioner on Governor Cuomo’s NYS 2100 Commission, tasked with identifying strategies for the long-term resilience of New York State’s infrastructure post-Hurricane Sandy. Rose is also a co-founder of the Garrison Institute with his wife, Diana Rose, where he founded the Climate, Mind and Behavior program. Rose graduated from Yale University in 1974 with a B.A. in Psychology and Philosophy, and received a Masters in Regional Planning from the University of Pennsylvania in 1980. He currently resides in New York City.